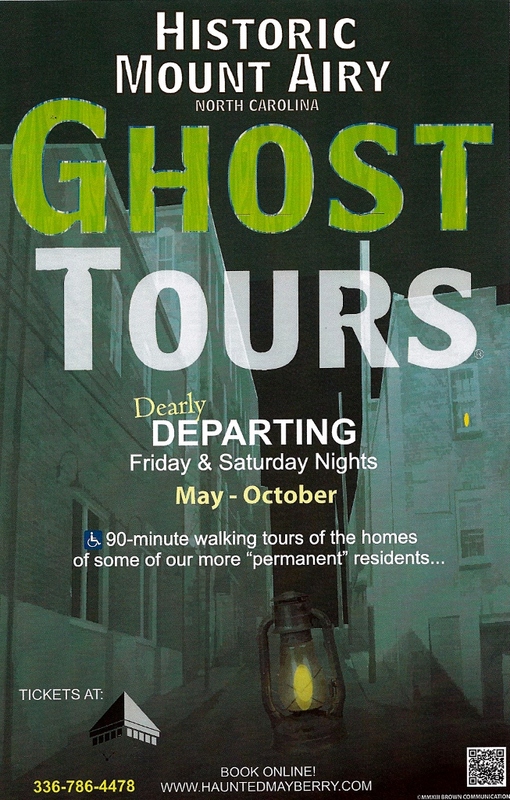 Historic Mount Airy Ghost Tours held Friday and Saturday nights at 8pm through November 23. Join us for an exciting 90 minute, lantern-lit walking tour through Mount Airy's streets and its historic past. You will hear about 13 of our "less mortal" friends and some of Mount Airy's resting places. Tours begin at the Mount Airy Museum of Regional History, 301 N. Main Street. Wear comfortable shoes and bring your camera and umbrella, if needed. Tickets are $15 (tax included) and pre-paid reservations are required!